Going into university I was a student that never really saw myself getting involved on campus, because my goal, at that time, was to focus on my academics throughout my university career (can you relate?). However, during my first year in the Accounting and Finance program, I realized that I was hungry for a piece of campus involvement (sounds cheesy, but I feel like that’s a perfect way to describe it). I personally felt like I needed to be a part of something besides being a student at Ted Rogers School of Management. I mean reading textbooks and going to class is a priority (after all, you’re paying for your education), but university is more than that. I won’t lie, part of the reason why I felt involvement was important was because I kept hearing people around me talking about the importance of it – let me just say that I believe it’s true! SURPRISE! So it began. In the Winter semester of 2014 I contemplated on what I was going to do to get rid of this craving for involvement. I was searching around the Ryerson website until I found a great opportunity to volunteer on Ryerson’s Central Orientation Crew. I’d just like to add that it’s important to take your time to find a volunteer opportunity that you’re passionate about or interested in. I quickly applied online and, within a few weeks, was given a role as an Operations Crew member. I mainly helped setup, run, and tear-down events during Orientation Week (it’s more fun than it sounds and I honestly had a great time!). That was my first involvement on campus and it was the start of my growth as a student striving to personally and professionally develop. 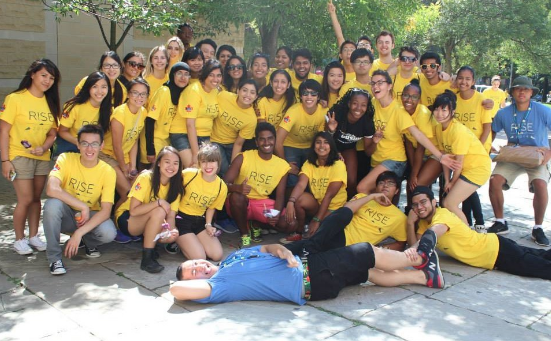 Some of the Rise 2014 Ryerson Orientation Crew (ROC) volunteers during Move-In Day. Following Orientation Week 2014, I realized how connected I felt with Orientation and, a year later, I wanted to continue my involvement helping first-year students transition into university. This time, I decided that I wanted to take a role in helping to plan and run Orientation Week during the summer months, and get involved in the pre-Orientation stages. When I applied and went to the interview, I felt comfortable to talk about my experiences and past Orientation involvement because Orientation was something I was passionate about (remember my point earlier?). A week or so later, I was fortunate to have received a job offer on the 2015 Orientation Team as Crew Lead. My primary role was to manage communications with the volunteers, and build a sense of community within the Crew. This became my first campus job as a student staff working in the department of Student Life Programs over the summer. 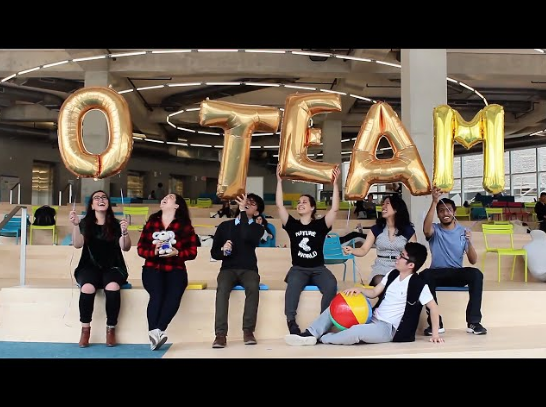 The Illuminate 2015 Orientation Team during the “Meet the O-Team” video shoot. When summer 2015 ended and I completed that job, my friends and peers have asked me if I was going to apply again and I told them that I wasn’t sure. Having been through the process of Orientation once, and although I made a lot of fun memories with the team, I knew how demanding the job was especially during Orientation Week itself. However, challenge is what creates growth, and that’s why I’m working on the team again, this year, as Senior Orientation and Special Projects Lead. The first time around, I learned how to communicate more professionally through emails, put my organizational skills to the test, and really learned to work in an office space where various personalities exist. This time, with a new role on the team, I wanted to experience Orientation again to see what I can bring to the table in terms of any improvements and strengthen my skillsets. How can I gain more confidence in the decisions that I make? How can I better work in a team setting with the possibility of conflict happening? 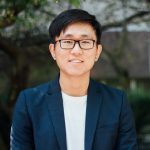 How can I contribute to making a better Orientation experience for students and other stakeholders? These are some of the questions that linger in my mind and slowly get answered as I come into the office and work Monday to Friday, 9am to 5pm. 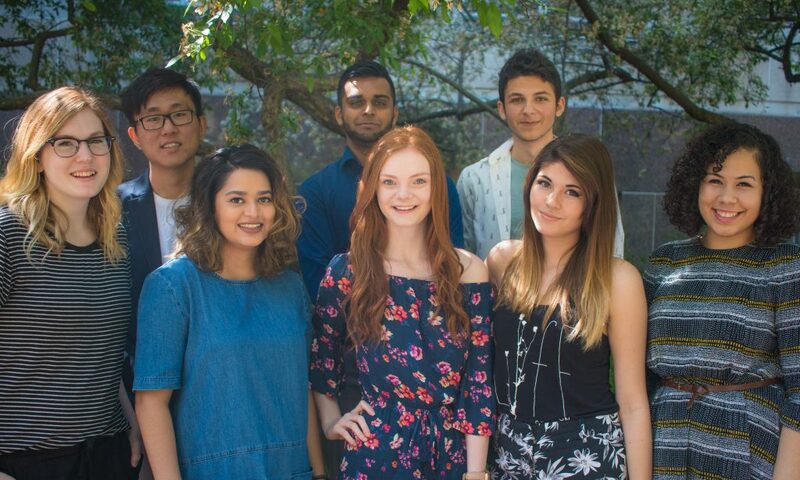 When you work in Student Life, which consists of Student Life Programs, RU Leadership, Tri-Mentoring and International Student Support, growth is a term that is frequently used to describe one’s development personally and professionally. As students, and as constant learners, we are growing to be the best that we can be. Remember, YOUR growth is identified and shaped by YOU. Take the initiative to find involvement on campus because you never know what you’ll learn from the experience or where it might take you. Just remember (for the last time) to find something that you’re passionate about or enjoy. I find that the experience feels more engaging and you’re able to be act authentic while doing what you do, which is key. Challenge yourself and find opportunities for growth throughout your university career. Good luck!